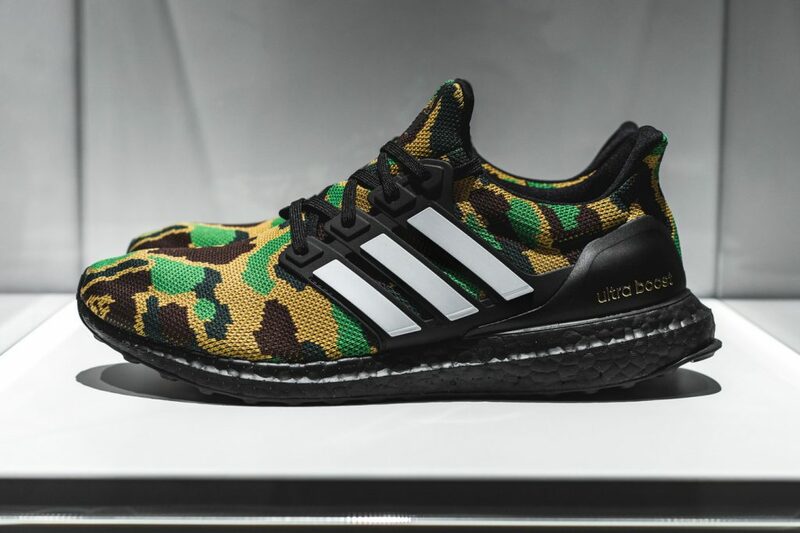 After months of speculation and samples, we now have an official look at next year’s BAPE x adidas UltraBOOST collaboration. 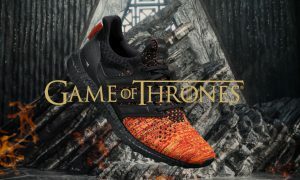 Dubbed as the “football” collection, in conjunction with the Super Bowl, will also arrive with cleats, an American football, an NFL helmet, and jersey. 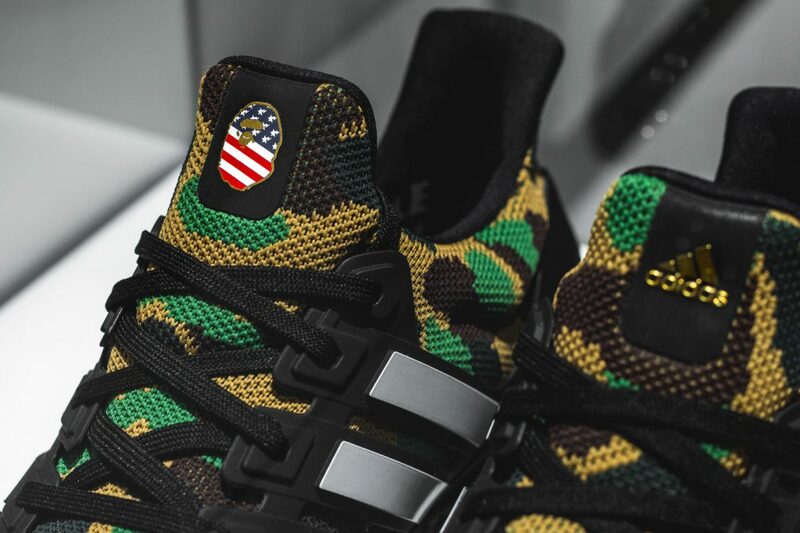 In the spirit of a typical BAPE collaboration, the entire collection features the famous BAPE camo pattern throughout. 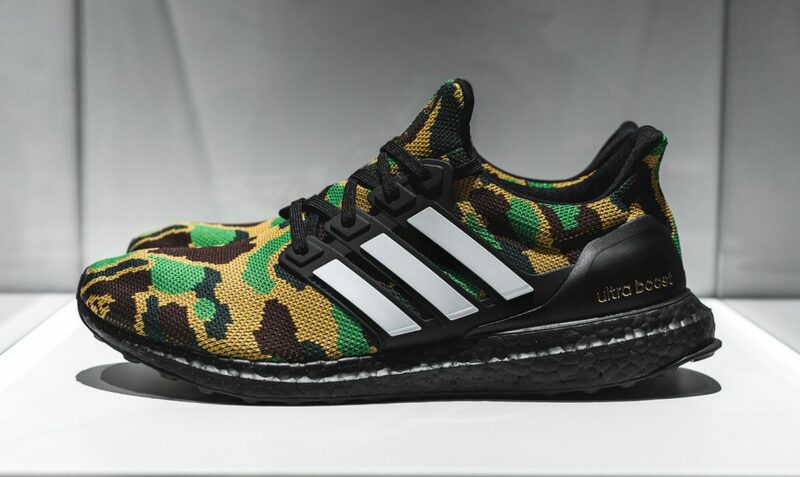 The UltraBOOST will feature a camo upper, with a blacked out BOOST midsole, white Three Stripes and metallic gold branding on the heel counter. HYPEBEAST had an official look at the collection in Japan over the weekend during BAPE’s “XXV” 25th-anniversary exhibition. 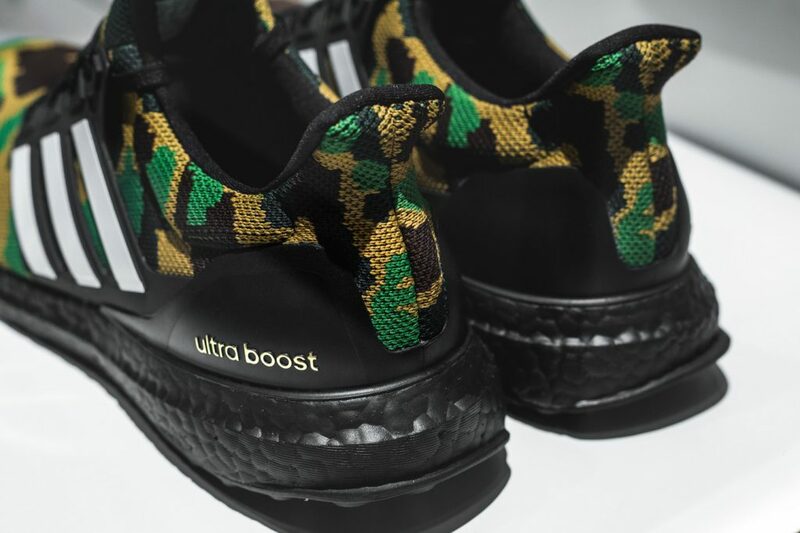 For a closer look at the UltraBOOST, check out HYPEBEAST’s photos below.